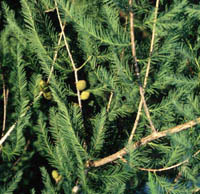 Montezuma Bald Cypress is found from the Rio Grande River south to Guatemala, although it is uncommon to rare in Texas. 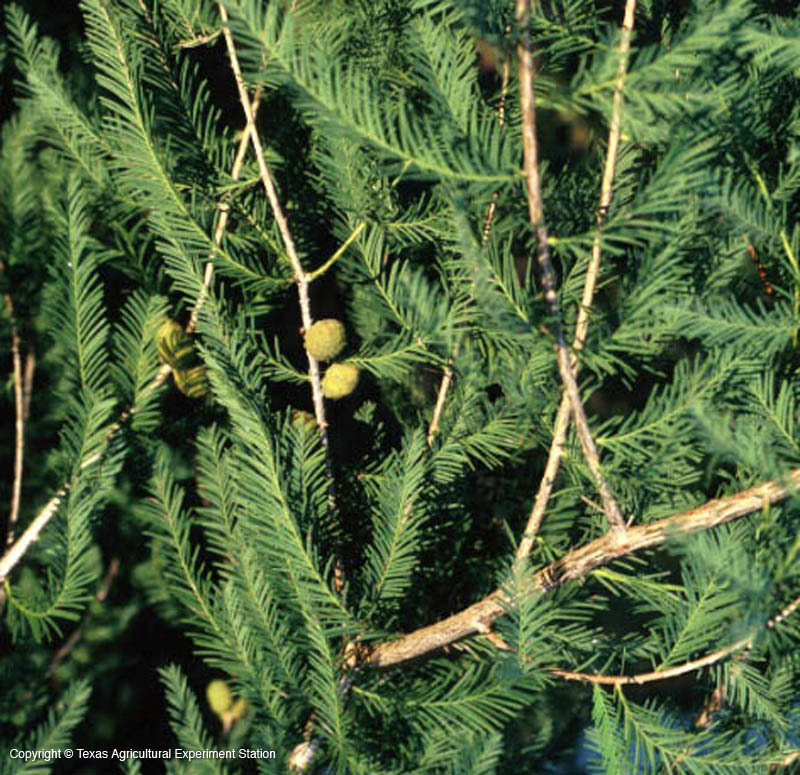 The main difference between Montezuma Bald Cypress and Baldcypress is that Montezuma Baldcypress is evergreen and the male flowers are borne in long racemes, whereas common Baldcypress is deciduous and the male flowers are in short clusters. 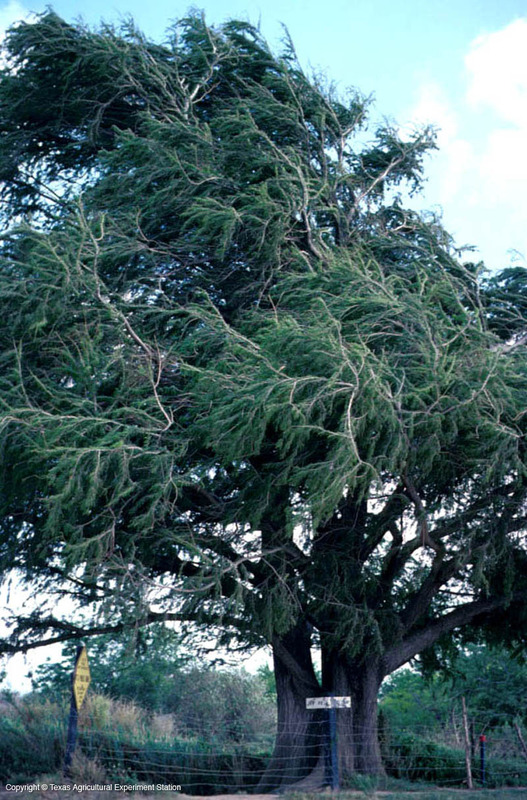 Since the extreme southern part of the state is the northernmost of its range, it has difficulty surviving winters farther north than San Antonio.